Central Discussion for racers from Japan. Epicharis, a grandson of Sunday Silence, earned a guaranteed spot in the Kentucky Derby presented by Yum! 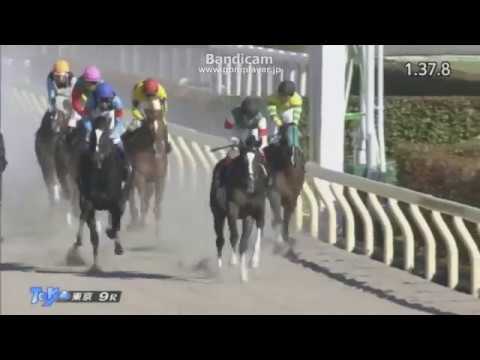 Brands (G1) with a victory in the Feb. 19 Hyacinth Stakes at Tokyo Racecourse. With the win Epicharis is now undefeated in four starts and it gave him 50 qualifying points in Churchill Downs' Japan Road to the Kentucky Derby standings. Mont Saint Legame, who earned 40 points for his victory in the first of the qualifying races in November, came in 10th in the Hyacinth but remains in second place in the rankings. Undefeated in four starts. Colt out of Gold Allure. Two days after their successful sire, Gold Allure, died unexpectedly, two of his sons burnished his legacy still more brightly with a significant Sunday double at Tokyo. His next budding star, unbeaten three-year-old Epicharis, captured the Hyacinth Stakes, in the process securing an invitation to the May 6 Kentucky Derby (G1). Later, Gold Dream scored a new career high in the February (G1), the year’s first “Win and You’re In” for the Breeders’ Cup Classic (G1). It remains to be seen whether either takes advantage of the offers. Even if Epicharis isn’t enticed by the Run for the Roses, U. Carrot Farm’s exciting colorbearer is in the reckoning for the Belmont Stakes (G1). Trainer Kiyoshi Hagiwara may find the 1 1/2-mile “Test of the Champion” more suitable, since Epicharis is the long-striding type who gets into a relentless rhythm. Before then, however, the UAE Derby (G2) on World Cup night beckons, and plans will firm up thereafter. Oh what a beauty. Maybe just me, but I don't recall seeing that many black (maybe not true black, but appears black) racehorses with that much chrome. Sunday Silence is his grand-sire. He was black with some chrome. Thanks for making separate thread Keta. Don't know if they will come to U.S. though. Dubai has better purses. They can do both. UAE Derby is also a KY points race, Lani came through there. Japan horses may go to Dubai and also to Breeders' Cup. So, added some of the Dubai contenders. You're welcome-thought this group needed a Discussion. 2015 Triple Crown bad boy is back at Meyden today! Catch Lani in the Al Maktoum Challenge (G1) at 9:55 am ET on DRF Bets. Keta Note: So, will Lani actually run in the race or not?